Makeovers are just plain fun, no matter who you are. What better place to put on a new face than Walt Disney World? Whether you’re an aspiring pirate or princess, a toddler who’s never seen a pair of scissors, a Dad looking for a little trim before heading home, or even a four-legged family member in need of a little sprucing up – Disney’s got you covered. 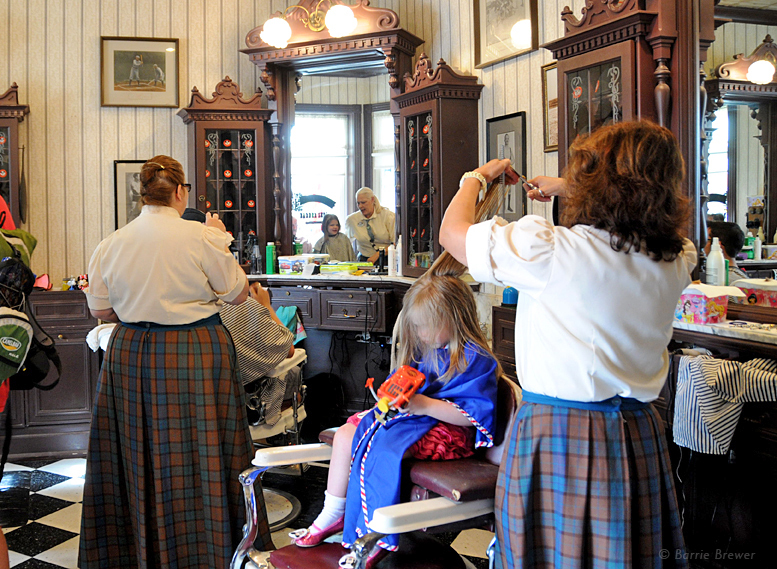 A step into Harmony Barber Shop at the Magic Kingdom is a step back in time. Hair tonics and talcum powders line the dark burgundy shelves. Located near the Emporium gift shop with a signature candy-striped pole outside, Harmony Barber Shop transports Walt Disney World guests to a simpler time… a time when barbershop quartets entertained with harmonic tunes and when getting a haircut was a real treat. Anyone, young and old, can get their hair cut at Harmony Barber Shop, but “First Haircuts” are the specialty. Young Walt Disney World guests who receive their first haircut at the Magic Kingdom barbershop are treated to many delightful surprises, from “pixie dust” and bubbles to Mickey Mouse stickers, and an extra-special “My 1st Haircut” set of Mouse Ears and certificate. Harmony Barber Shop accepts appointments for those staying at a Disney resort or guests who have a dining reservation. 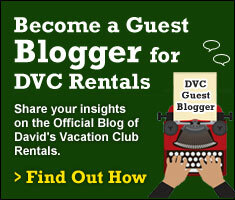 Guests without reservations are taken on a first-come, first-served basis. Call 407-WDW-DINE (407-939-3463), Disney Vacation Club Member Services, or the lobby concierge at your Disney Resort Hotel to make appointments. If you want to look nice for a special occasion while on vacation, Niki Bryan Spas operates salons in 4 of the resorts at Walt Disney World, offering a full range of services for your hair including cut, color and up-dos. Men’s services include haircuts and trims, as well as children’s services. Manicures, pedicures and paraffin treatments are available as the final touch for your self-renewal. The salons are open to all Walt Disney World guests. To schedule a salon service, make your appointment as far in advance as possible by visiting the websites listed. The Pirates League is a buccaneer adventure in the Magic Kingdom, featuring makeovers that turn theme park guests into savvy swashbucklers. Depending on the pirate package, a trained Pirate Master can transform boys, girls (ages 3 and up) and grownups into pirates, buccaneers and maidens using facial effects, fake scars, removable teeth, hats, bandanas and other costume accessories. Included in each of the three packages offered: a sword and sheath, earring and eye patch, temporary tattoo, exclusive pirate coin necklace, map case folder, a personalized pirate oath and a pirate portrait. Guests can make reservations by calling 407-WDW-CREW (407-939-2739). 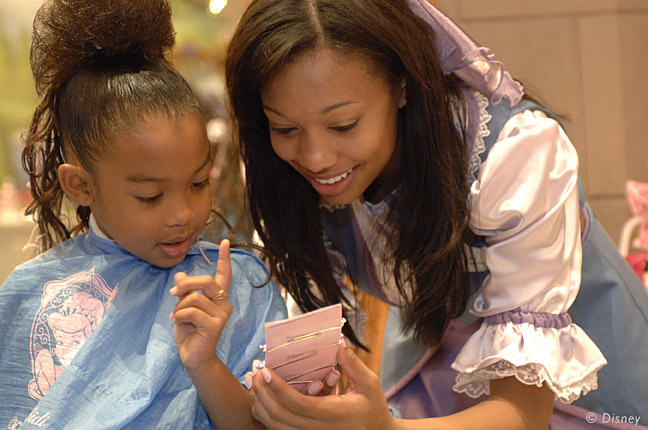 There are three magical makeover packages that young princesses-to-be can choose from at the Bibbidi Bobbidi Boutique, located inside Cinderella Castle at the Magic Kingdom. A Fairy-Godmother-in-Training magically transforms them in the girl’s choice of hairstyles – the Disney Diva, the Pop Princess or the Fairytale Princess. A second Bibbidi Bobbidi Boutique at Downtown Disney Marketplace also offers an exclusive “Hannah Montana” look. Reservations are recommended for both locations and guests may make appointments up to 180 days in advance of their visit by calling 407-WDW-STYLE (407-939-7895). When I said “makeovers for everyone”, I wasn’t kidding. 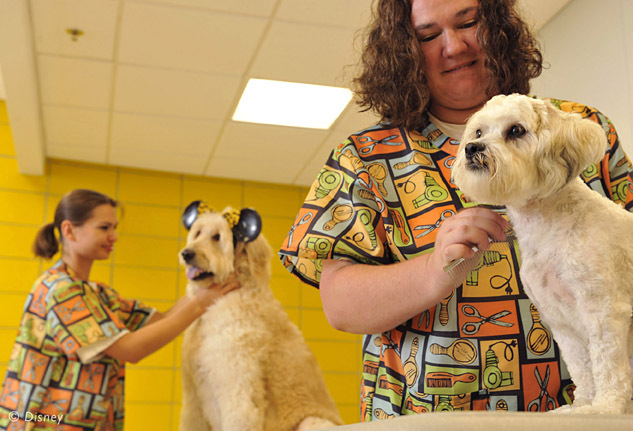 Even Rover can get a new look at Walt Disney World from the groomers at Best Friends Pet Care luxury pet resort. Best Friends Pet Care offers luxury baths and haircuts for pet guests. Practical pets know that extra cuddles are in store when they greet their families after a “go-home-fresh bath,” offered along with other services at the resort’s grooming salon. Best Friends Pet Care Resort is located across from Disney’s Port Orleans Resort at 2510 Bonnet Creek Parkway. 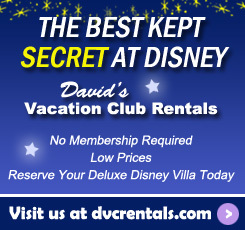 Guests can make reservations at wdw.bestfriendspetcare.com or by calling 877-493-9738.